With a population of approximately 60,000, St. Albans is located in the county of Hertfordshire. Surrounded by pretty countryside and yet in such close proximity to London, there is a huge demand for property in St. Albans which is reflected in the strength of the market. At My Home Move Conveyancing we have been developing our knowledge and expertise of local markets since 2002, allowing us to bring our clients in St. Albans a specialist, fixed fee conveyancing service. You’ll need to instruct the services of a lawyer to complete the legal work on your behalf when buying or selling property in St. Albans. 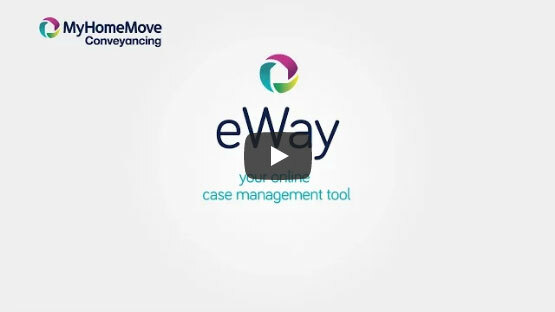 Let My Home Move Conveyancing act as your St. Albans conveyancers, and take advantage of our award winning customer service, innovative use of technology and detailed knowledge of the local market. Our conveyancing service comes for a fixed fee, meaning there are no extra hidden costs to worry about. If for some reason you don’t end up moving, you won’t have to pay us a thing in legal costs. You will be assigned a dedicated conveyancer who will look after your case from start to finish, providing you with regular updates to complement the online access you will have to your account with us. At My Home Move Conveyancing we are pleased to offer our conveyancing services in St. Albans to customers across the local area, including those in central spots as well as sought-after surrounding villages such as Aldenham, Childwick Bury and Wheathampstead. The average house price in Hertfordshire is £326,732, while in St. Albans the overall average sale price during the past year was significantly higher than this at £477,829. There was a relatively even spread of properties sold in terms of numbers, although most sales involved flats which fetched an average price of £275,156. Terraces averaged at £444,631, semis at £554,712, and detached properties at £769,119. St. Albans is a charming Home Counties town with a long history in its local area that encompasses Iron Age settlement and Roman occupation - the city of Verulamium was in fact the second-largest settlement in Roman Britain after Londonium. The town today offers plenty of modern amenities and attractive Georgian properties that complement its location close to the capital city of London. There are direct rail services that take less than 30 minutes to reach London Blackfriars station, making St. Albans a great option among commuters to the capital. The M1 and M25 motorways are just a short distance from the town centre, adding to the convenience of St. Albans. This is further enhanced by its location just over 10 miles from London Luton Airport, a journey that can take as little as 20 minutes by road and under 25 minutes by train. There are some excellent schools in the area that will be pleasing for families with children, including the Abbey CofE, Aboyne Lodge, Cunningham Hill Junior School and Maple Primary for younger children. Secondary options include Sandringham School, St. Albans School, St. Albans Girls’ School and Verulam School on Brampton Road. All properties in St Albans will fall within one of the following council tax bands.